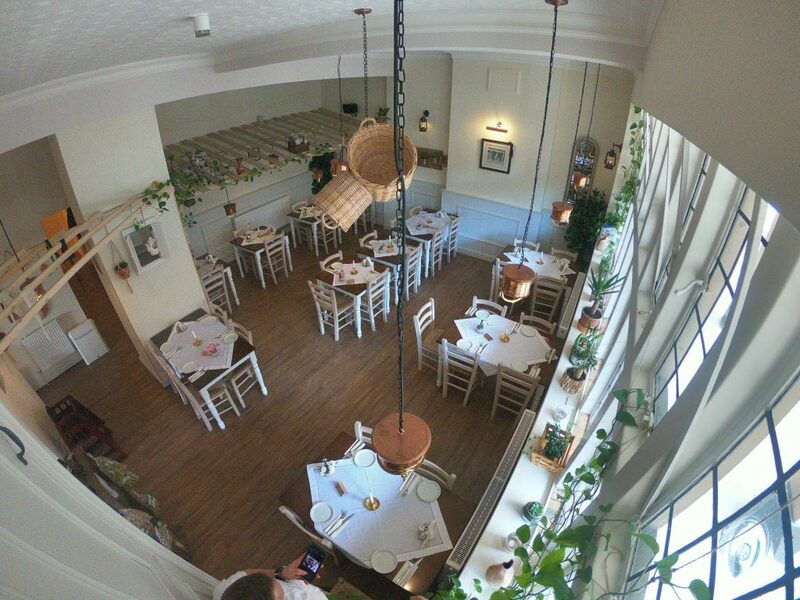 The ”garden” dining area consists of both large and small tables and can seat up to a total of 50 people. This area looks like a Greek traditional restaurant outdoor garden. The Dining Bar seats up to a total of 6 people in parties of twos. 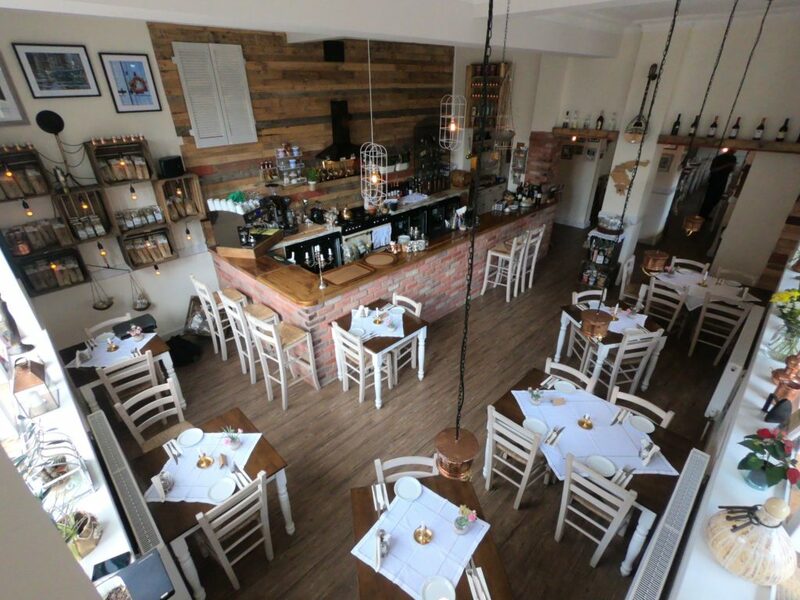 Here customers can enjoy a meal or even just a meze served by friendly staff. The bar also serves speciality coffees, teas and a variety of Greek drinks, all available to choose from the menu. ”Kitchen” dining area seats 26 people, consisting of tables for two, four or five people opposite our kitchen bar, this area of the restaurant looks like a home kitchen. This area also has a corner which hosts a small market stall selling Greek mountain and mint teas and various Greek cooking herbs. Whatever your event or celebration, we are here to make your special day a truly memorable one. Odyssey’s dining experts are more than happy to speak with you and create a special evening for your celebration. We take reservations for lunch and dinner. 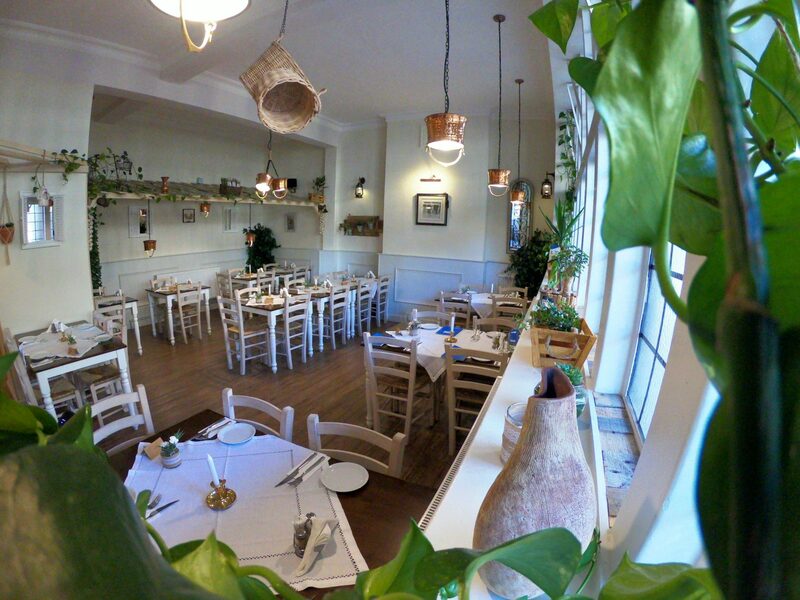 To make a reservation, please call us on (+44) 01246 721573 between 11am to 11pm. If we are not available to answer, please leave a message with your number and we will get back to you as soon as possible. We do not usually book the bar area – we leave this for walk-in guests to ensure that we always offer some tables for those who have not booked.